1 box (Area C), 3 yards sq. behind defender on edge of the grid. Start position: players facing one another separated by an imaginary line that player without ball cannot cross. 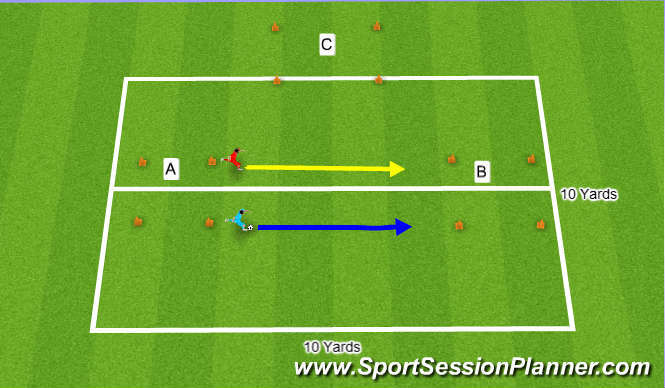 Introduce a goal in Area C and GK to get past and beyond to score.